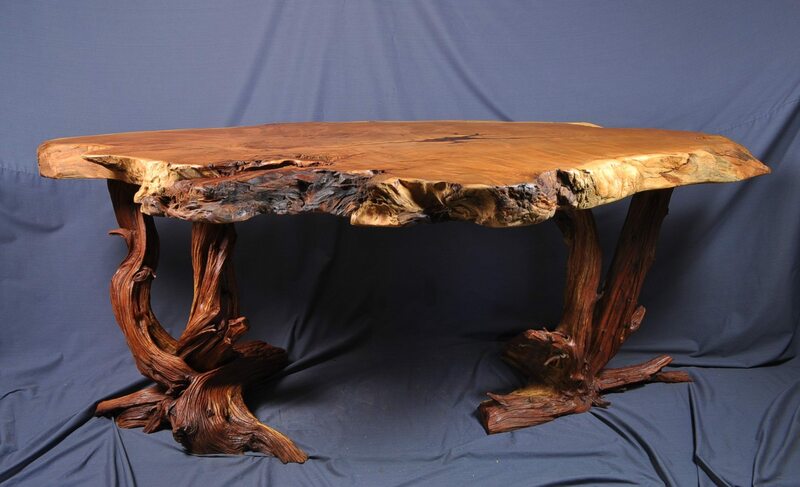 For only the second time in the past 35 years I was asked to create a redwood desk. This was for a local plumbing contractor to be used in his office. 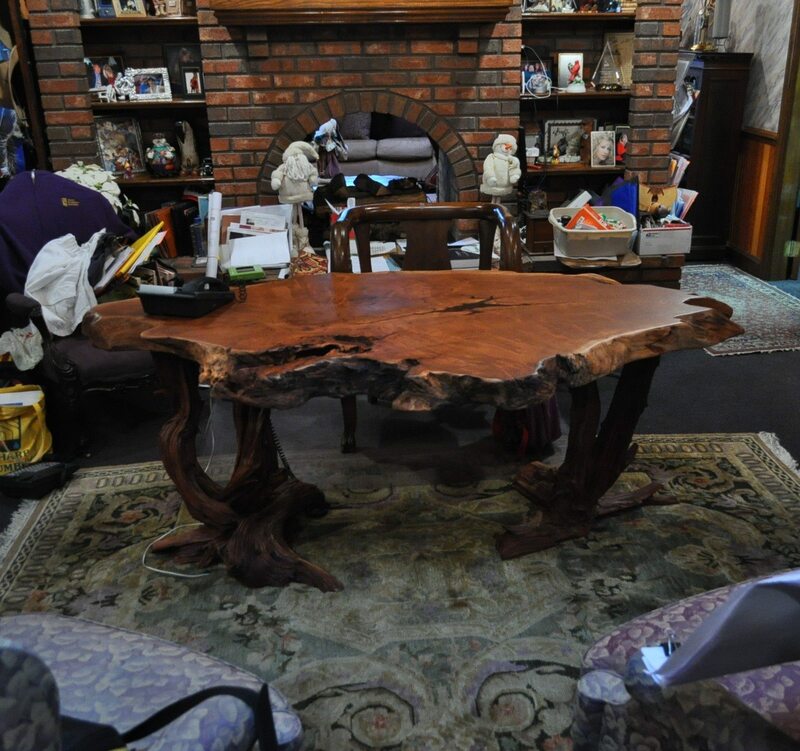 He already had one of my large buckeye coffee tables that he had purchased years ago that was in his conference room and a large redwood burl coffee table that was in his out of state cabin home. 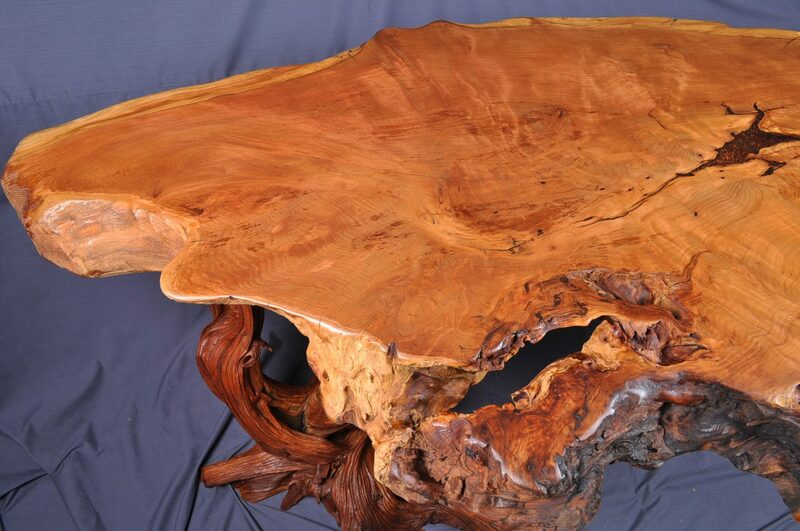 The desk top was fashioned from a 36 x 66 second growth redwood burl slab that was 3″ thick. 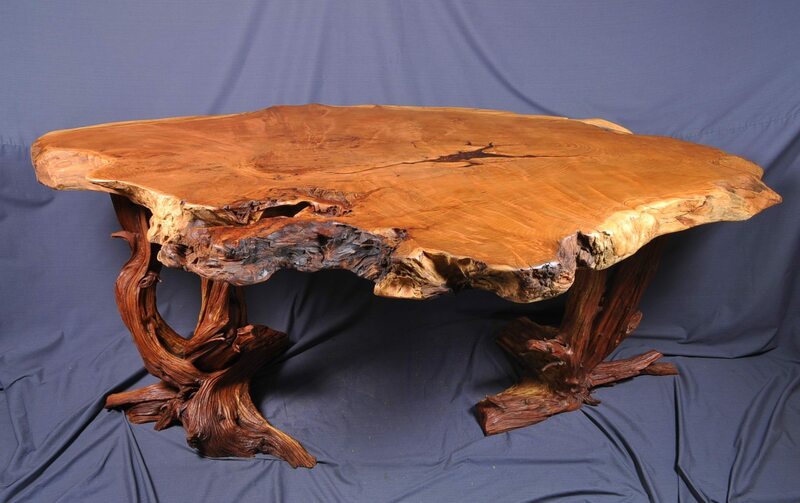 Second growth redwood is lighter in color & weight & has some blond sapwood on portions of the outer edge. 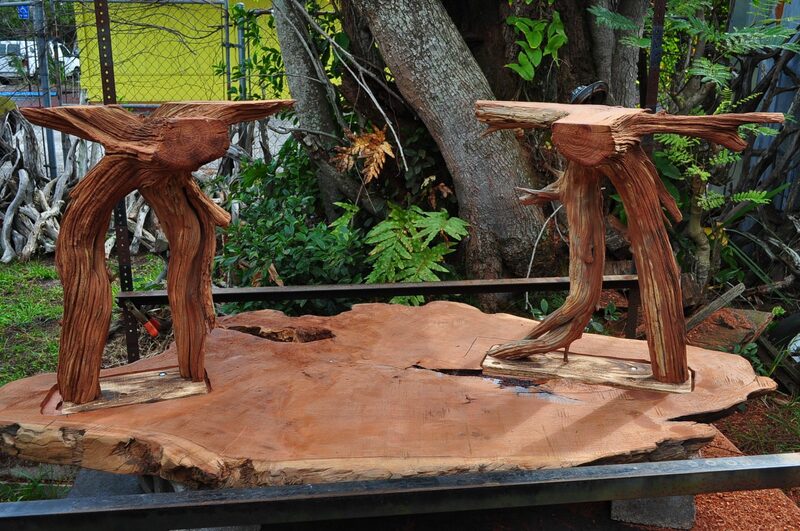 The two trunks used for the bases are Florida red cedar driftwood. The entire piece was finished with a satin lacquer.